I am a Christmas shopping procrastinator. It’s not that I don’t love giving gifts because I do, I am just not a big fan of crowded malls and large stores. I have finally come to a no-brainer solution. Shop Local! We have so many great little shops here in Garrett County that it seems silly that I wouldn’t frequent them more often. 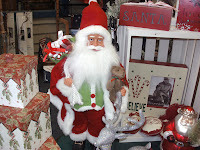 By far, one of my very favorite shops is Four All Seasons Gift Shop located in the Dry Dock Plaza at Deep Creek Lake. 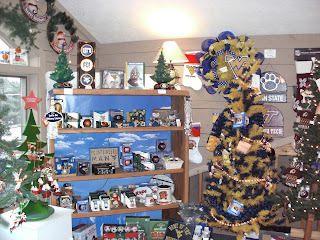 Whether you are looking for a fun and funky new toy for the kids, a new amazing handbag for mom, or even football memorabilia, this shop definitely has something for everyone. Unfortunately, the shop will be closing its doors for good very soon but in the meantime, everything in the store is marked way down and with an extra 40% off everything, it’s a deal that can’t be beat. So, I headed there first. Considering the countdown had begun, the pressure to start marking names off my list was on. An hour later, I started to feel a little victorious at all of the awesome deals I had found. Arms laden with my many packages, I decided to check out The Christmas Chalet located across from Uno’s next. http://www.christmaschalet.com/ Ebenezer Scrooge could not walk in there and not immediately get in the spirit of the holiday. Tons of brightly colored Christmas trees and decorations beautifully illuminated as far as the eyes could see! There is an ornament for absolutely everyone on your list! Dog and cat lovers, dancers, teddy bears, s’mores, sports fanatics, whatever you are looking for its most likely in there. After carefully choosing some awesome Steeler Christmas tree bulbs, a yummy cinnamon/ apple candle and some other odds and ends, I left very content with my purchases. Exhausted from all of my mad spending, I made a quick dash into Trader’s Coffee House for a rejuvenating cappuccino. Yep, I have to say that local shopping is definitely the way to go! 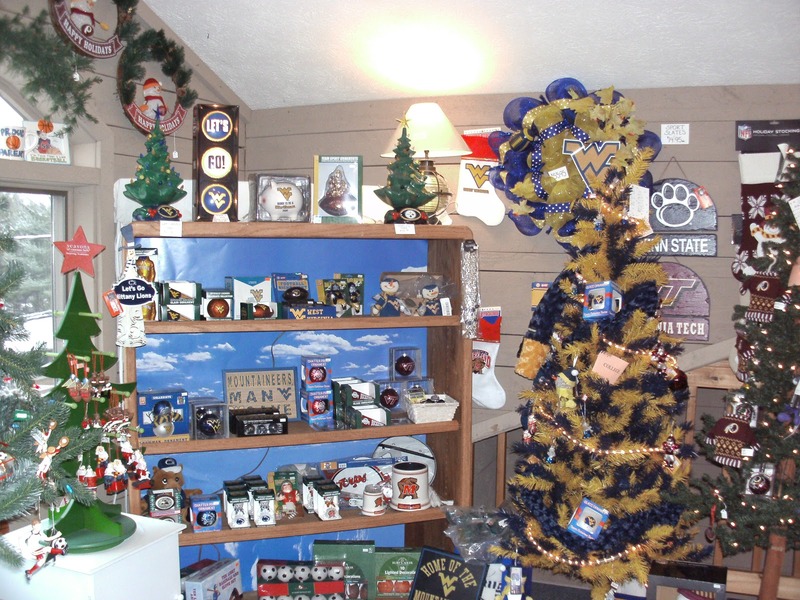 WVU Mountaineer Fan? No problem! Now, is the perfect time to start planning that winter weekend getaway. Wisp has officially announced that it will be opening this weekend (December 15thand 16th) They will continue to make snow with the weather permitting. Taylor-Made Deep Creek Vacations is offering some phenomenal last minute discounts for many of our homes so be sure to call today to see what we are offering. Planning a summer stay? Our new 2013 brochure is now out. Call and let us know that you would like a copy sent to you and we will mail it out the next day. Don’t forget that you can also view our e-brochure or just visit our website to find the perfect vacation home for you and your family (www.deepcreekvacations.com or call 1-866-351-1119). For those that happen to be in the area, stop by our office (located adjacent from Market Square in McHenry) and check out the sensational holiday decorations that are maintenance guys worked hard on putting up. Absolutely stunning and a terrific photo opportunity for the kids! 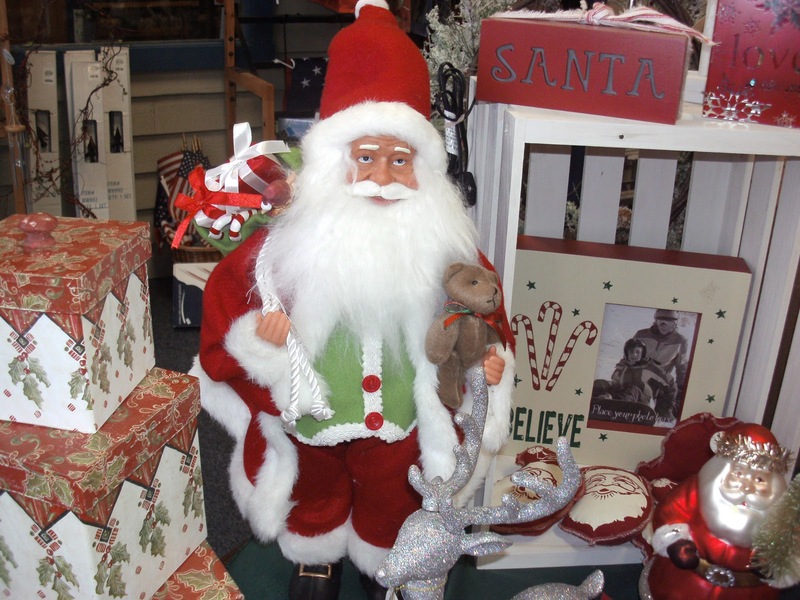 Holiday spirits are high here in the mountains and we look forward to seeing you at the lake! Previous Previous post: Okay, altogether now…. Think Snow! Next Next post: Walking in a Winter Wonderland….